Auto service contract provider banned from business in N.J.
Motor vehicle service contract provider Direct Buy Associates has been ordered by New Jersey to shut down its operations there, the attorney general’s office announced Thursday. 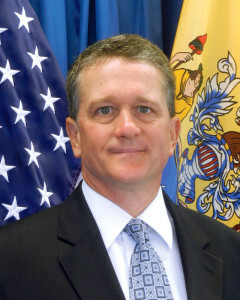 Acting Attorney General John Hoffman implied the company used “deceptive tactics,” and the news release accused the Iselin, N.J.-based company, which does business as Direct Buy Auto Warranty, of misleading consumers about the nature of its products and failing to provide the services advertised on its website. Hoffman announced an $810,000 settlement with Direct Buy Associates on Thursday, the terms of which included the company halting business in New Jersey within six months and paying nearly $200,000 in restitution to customers; about $111,000 in state attorney and investigative costs; and a $500,000 civil penalty, $400,000 of which was suspended. A general manager for Direct Buy Auto Warranty reached Thursday said the company only settled the case to avoid the cost of litigation. “The state’s allegations were false,” said the manager, who would not provide his name. The settlement, available here, does not acknowledge any wrongdoing on Direct Buy Auto’s part. New Jersey said that Direct Buy advertised it sold warranties or extended warranties with “comprehensive” and “bumper-to-bumper” coverage but in reality only sold service contracts with coverage exceptions. The manager said there was no truth to the alleged discrepancy in coverage. As for the alleged false advertising regarding the term “warranty,” he said that many service contract companies use that term in their names. The state also said that Direct Buy offered “no limit on how much we will pay your shops labor rate” but wouldn’t in fact surpass the “current national flat rate.” The manager called that too a “falsehood,” saying that Direct Buy had agreed to pay the Mitchell labor rate, but always told customers they’d have have to go out-of-pocket for the rest. The Direct Buy manager also challenged the state’s depiction of the settlement, saying that about $104,000 of the nearly $200,000 in restitution touted by the state had really been paid out to customers before the settlement. He also said that only about 40 complaints were actually made to New Jersey proper; more than 200 others were solicited from the Better Business Bureau, and most of the New Jersey claims had been resolved already. “Consumers need to come forward and alert us whenever they believe they have paid for services that they do not ultimately receive. Consumer complaints bring results, as the outcome of this case against Direct Buy Auto Warranty clearly shows,” Consumer Affairs acting Director Steve Lee said in a statement. Anyone with complaints can contact the division online or by calling 800-242-5846 or 973-504-6200. The company is also required to tell the New Jersey Division of Consumer Affairs about any complaints within the next year and their resolution; the division will arbitrate any complaints for unsatisfied customers. New Jersey Attorney General’s Office, Jan. 29, 2015.